As Aristotle once said: “Friendship is a single soul dwelling in two bodies.” So, friendship is one of the highest values as it helps to move on when you feel down and when you have the person, with whom you can share happiness, then life becomes sweeter. There are many ways to celebrate true friendship and perpetuate it in the heart and memory: paintings, songs, poems, jewelry and even architecture. 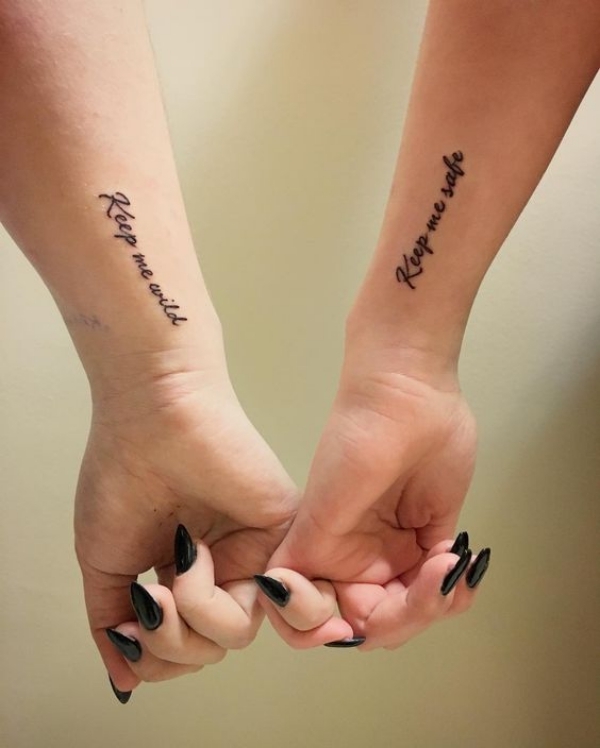 However, some people claim that a BBF tattoo is one of the most touching and creative ways to show devotion and love for the best friend. The design and its placement are very symbolic and deeply personal. 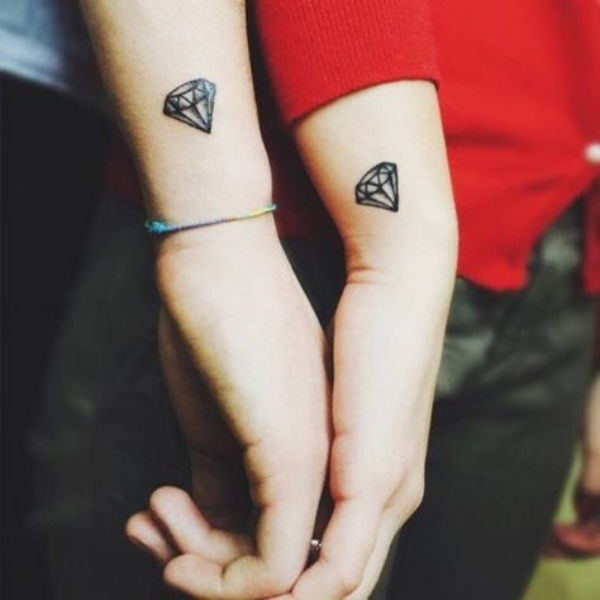 So, if you are a tattoo lover and have the best friend, celebrate your friendship in this way. 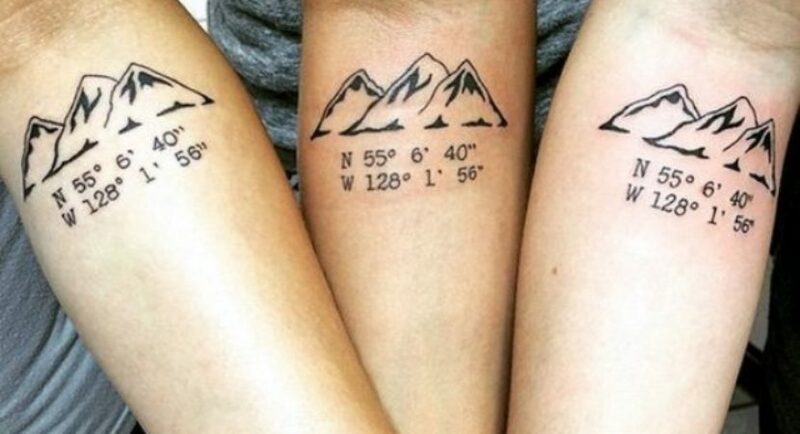 Here are facts about the most sought-after designs for best friend tattoos and cool friend tattoo ideas, which you should consider if you want to have a friendship, inked on the skin. Swallows in ancient times have been messengers for sailors that the land was near, so a modern meaning of this design is a safe trip home. This meaning is relevant for friends, who live far from each other. Besides, these birds choose mates only once and they are very faithful, so this design says about love and loyalty. On top of that, swallows indicate that the person has survived many hardships, so it is relevant for those best friends, who have pulled through many tough situations together. And if there is the image of two swallows, it indicates freedom. Sparrows were associated with solitude in ancient times, but some people regarded them as guardians, who guided people’s souls to heaven. Later, it became a sailor tattoo, which meant protection. In the meantime, the sparrows represented loyalty, eternal friendship, and freedom. Besides, a pair of flying sparrows stands for eternal true love, fidelity, and monogamy. The sparrow with wings spread wide indicates a swift mind. Owls are mysterious creatures and a lot of ancient legends have been connected with them. Greeks and Egyptians associated the owl with wisdom and intelligence. Also, it is the sign of the afterlife and magic. If the owl tattoo is combined with the moon, then this combination says about a good intuition and the ability to pursue dreams. 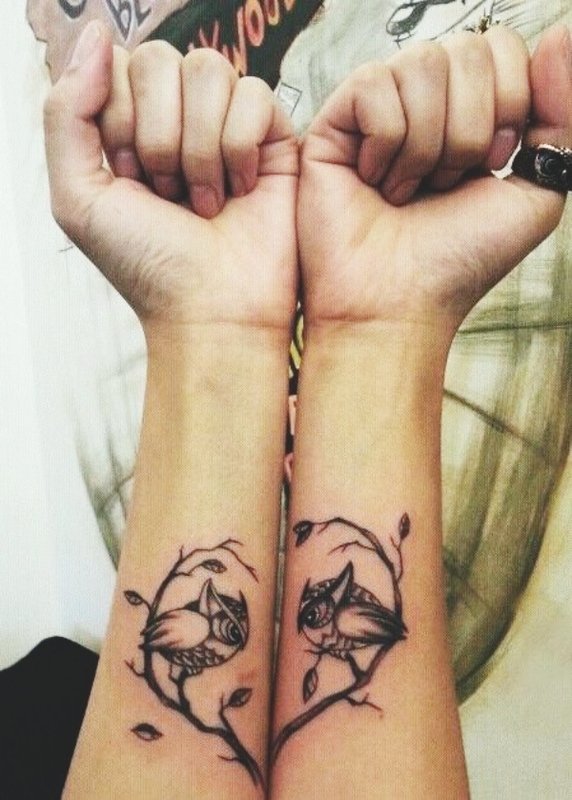 Moreover, owls signify devotion, which is relevant for best friends, who go hand in hand in life. This is a common BBF cliché, it means that people went through good and bad times together. 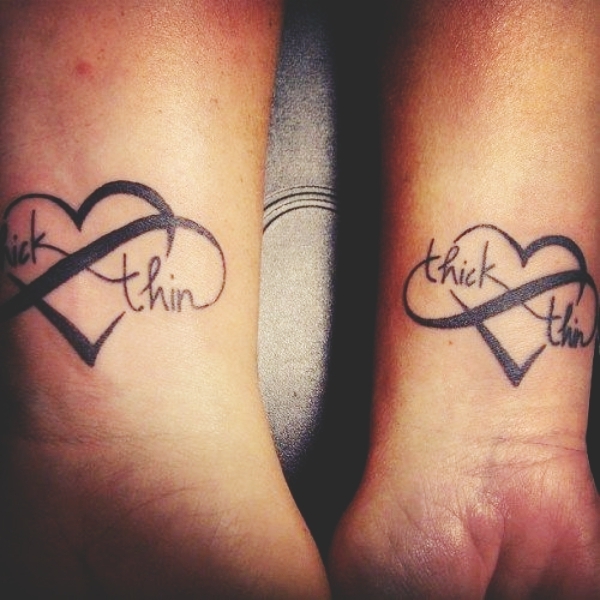 Thick is the representative of the good times, whereas thin embodies bad times. Friends, who endured many tough situations, wear this design. 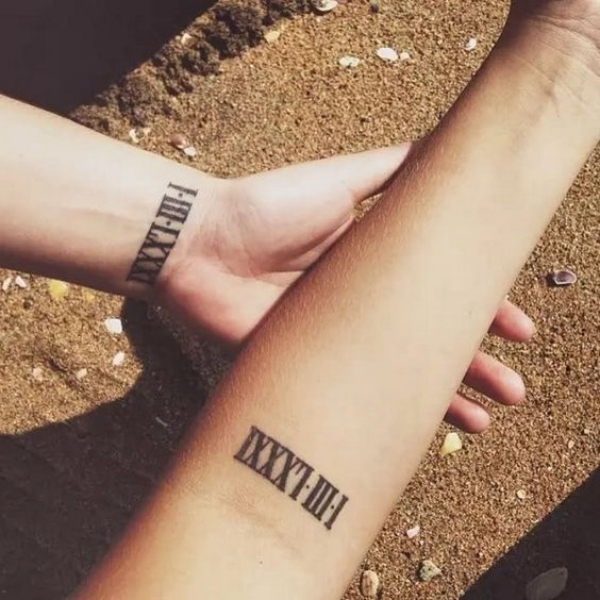 Oftentimes, best friends adorn their bodies with inscriptions, which are meaningful for two of them. It may be touching lyrics, inscriptions, which express the strength of feelings between friends, e.g. “you will never walk alone” Also, the inscription, devoted to the TV series “Friends”, shows that they are fans of the TV series and also perceive everything in life with humor. This Celtic symbol stands for friendship, love, and family. It has appeared after about 450 AD and it relates to the uninterrupted life cycle, which has fortune and setbacks. 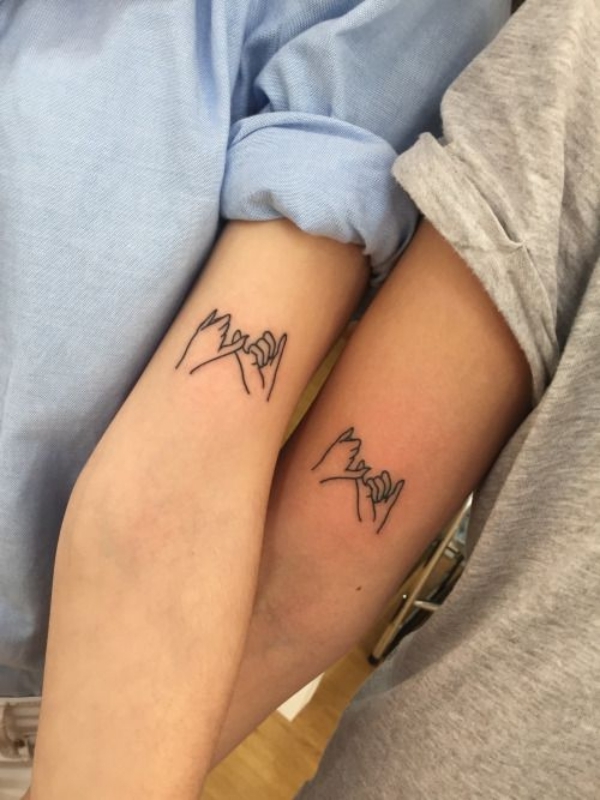 This tattoo means that friendship will have a long lifespan despite all misfortunes. The sun means energy, power, vitality, renewal, and rebirth. As for the moon, it indicates fertility and growth. 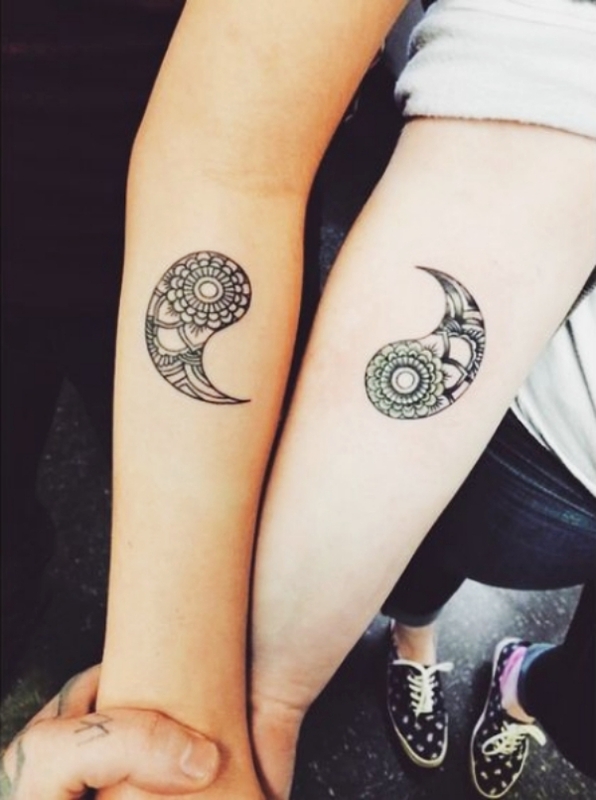 The sun and the moon, united into one design, signify the union of opposites. In ancient times, the sun was an active symbol and it symbolized the masculine power, whereas the moon as a passive symbol denoted feminine calmness. Therefore, this design stands for the major principle in life: good or bad things are interconnected and that everything in the world has the dark and light sides. 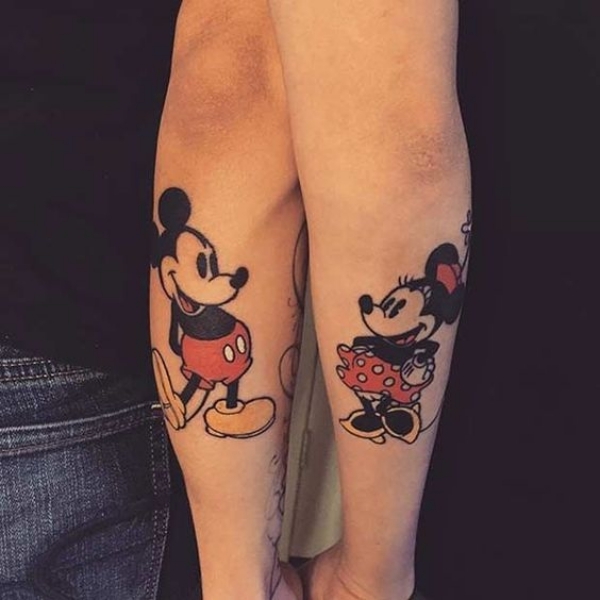 So, friends, who wear these tattoos, have different characters, but a strong friendship! 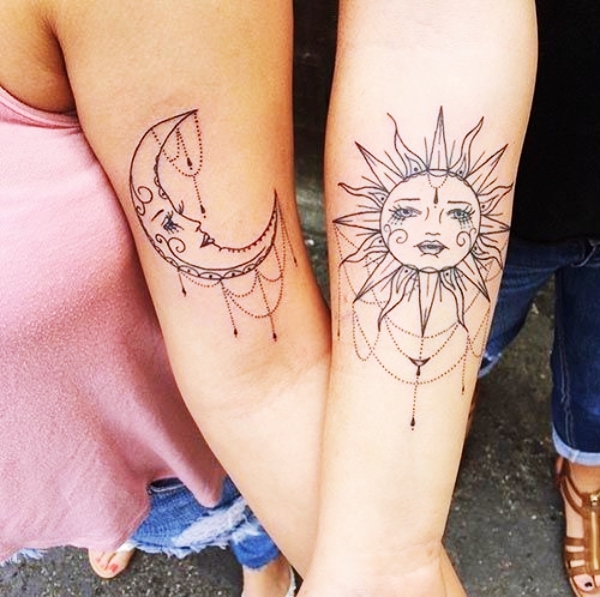 And if you’re seeking for moon tattoo designs specifically, then, it’s quite better for you to check our another collection. 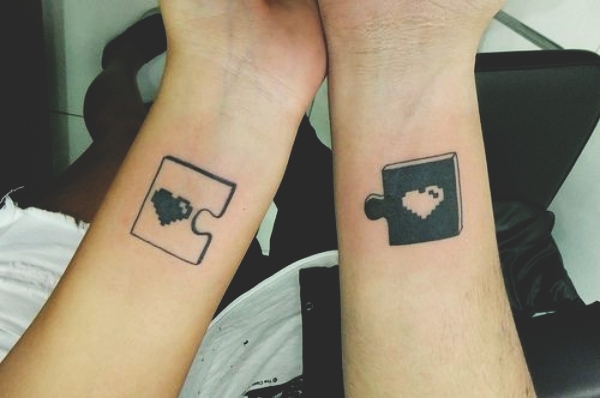 The major meaning of this tattoo is a deep connection with another person. One piece of puzzle symbolizes that the owner is empty without the second half. Also, it may signify a strive to unite with the person, who is very dear to the heart. Besides, this design may show that the owner is missing someone or something in his life. 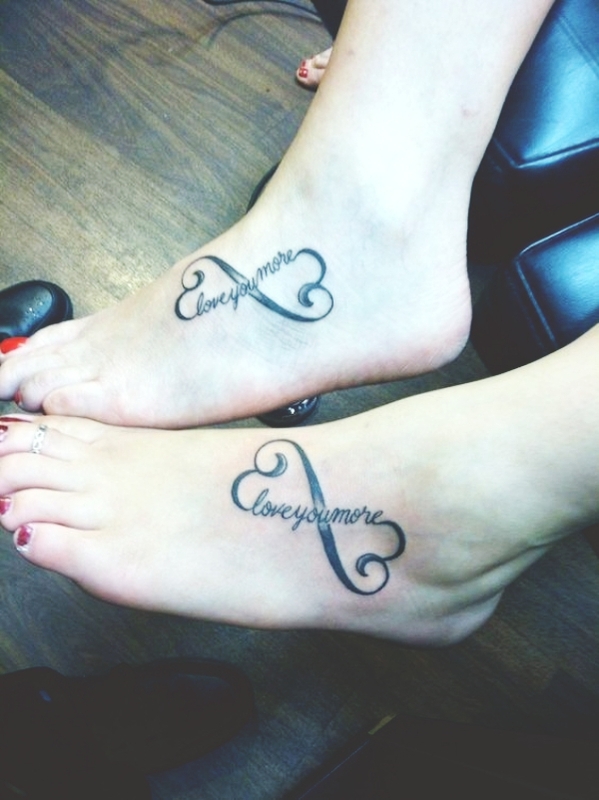 Friends choose this tattoo to express their appreciation, admiration, gratitude, and love for each other. A heart is very symbolic for friends as it is believed that true friends have one heart for two. Obviously, this design is connected with love, spirituality, friendship. However, depending on the variation, this design may render different meanings. Thus, a broken heart and a black heart are reminders of a loss, the heart with wings symbolize freedom and a cheerful nature, a Celtic heart denotes strength and unity. Also, a sacred heart, which is usually displayed surrounded by thorns, a crown, and a pierced sword, represents faith. 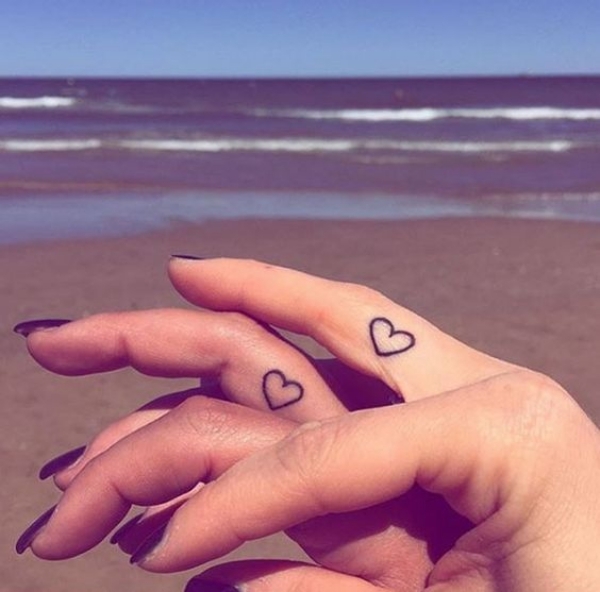 Besides, a lock and a heart tattoo means devotion and love, and a stitched heart tattoo shows that the heart of the person has been broken, but then it has been healed. Gone are those days, when tattoos were considered as fashion symbol only. Nowadays, people crave for meaningful tattoo designs only. 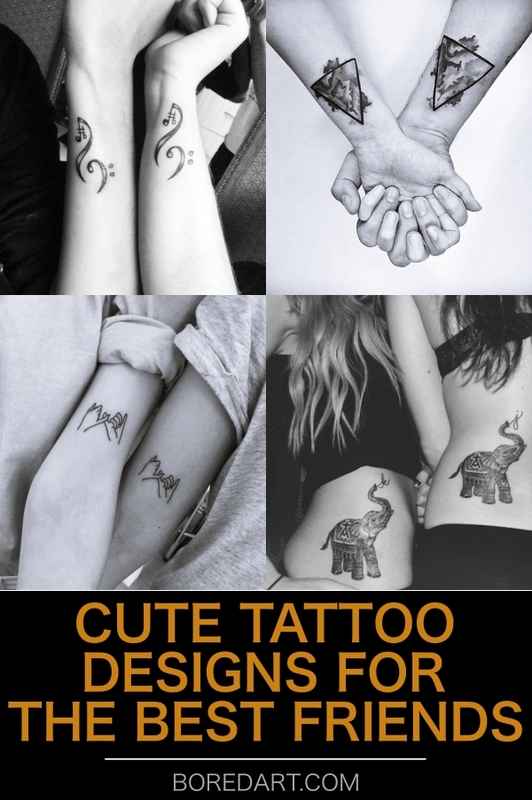 Don’t worry, as we’ve entire collection of purposeful tattoo designs for women which will help you to pick the perfect one according to your personality and thoughts. 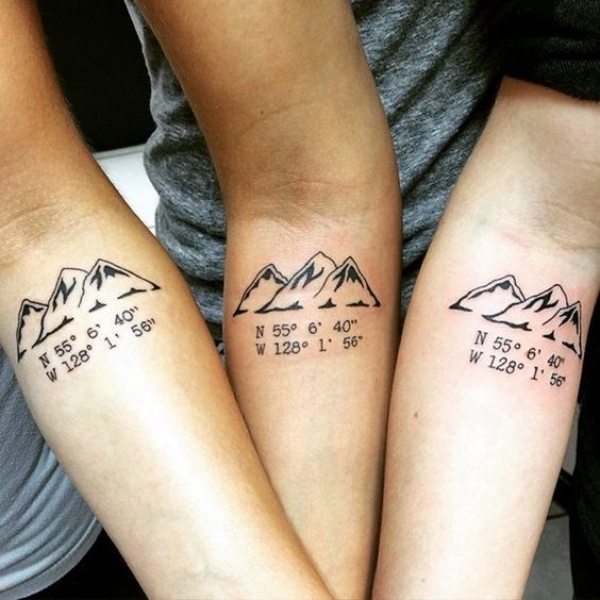 This cute tattoo is perfect for friends! A pinky swear is a gesture when people interlock their little fingers, which serves as a symbol of agreement between them. This design may signify that two friends will never quarrel. This tattoo is special for friends as it symbolizes endless friendship. Also, it is a special symbol in Hinduism and Buddhism as it means reincarnation and rebirth. Besides, it may signify endless possibilities which each human has in his life. This design may be plain or complemented by different additional details such as quotes, hearts, figures. A feather holds a special place in many cultures and it represents hope, spirituality, bravery, freedom. For Native Americans, feathers were the symbols of guidance and protection. 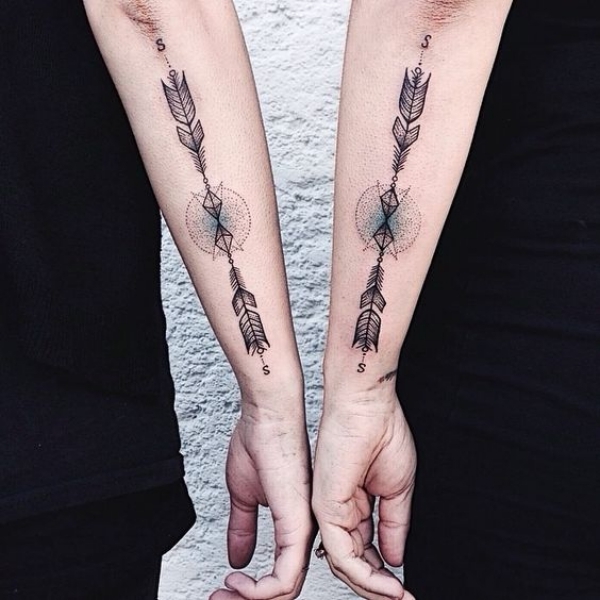 Depending on the type of the feather, the tattoo has various meanings. For instance, an eagle feather symbolizes courage and leadership, an owl feather means vision, a raven feather signifies knowledge, a peacock feather means beauty and a hummingbird feather means intelligence. 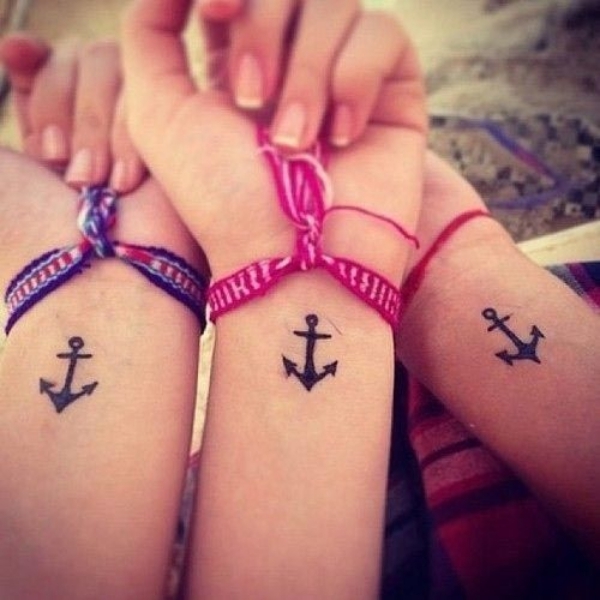 An anchor is one of the first designs, which has adorned the human body. Some scholars claim that the anchor means the unity of male and female principles. Also, it denotes hope, stability, loyalty, and protection. If the anchor is combined with the eagle, it symbolizes a willingness to serve, a rose and the anchor mean ultimate sacrifice, and a heart with the anchor denote compassion. Also, the Celtic anchor stands for the idea of interdependence. This tattoo carries a deep symbolism as it can signify a place or the event, which has happened in a certain place, and which is meaningful for you. This Chinese symbol represents a perfect balance in the universe. Good and bad things interconnect and create harmony. It may be depicted traditionally in black and white hues, but there are other variations of this symbol. The Yin Yang lotus symbol represents the unity of Chinese and Buddhist symbols and means purity and perfection. Yin Yang eye denotes a desire to seek peace and balance. Besides, the Yin Yang Heart symbol reminds that love is one of the virtues. This animal is sacred in many cultures and it is associated with prosperity. So, this design has been always admired by men and women. Elephants have a good memory, so the elephant image signifies wisdom and intelligence. If the elephant is depicted with a raised trunk, it means that the person is fearless and he is always ready to meet targets. Also, a tribal elephant symbolizes the link to nature, a Dali elephant tattoo expresses the man’s aspirations to fulfill his desires, and the cartoon elephant says that a person is enjoying his life. This tattoo is simple but very symbolic. The tradition of tattoos with Roman numerals comes from the Roman Empire, where it had a negative meaning. However, nowadays it has a positive denotation. 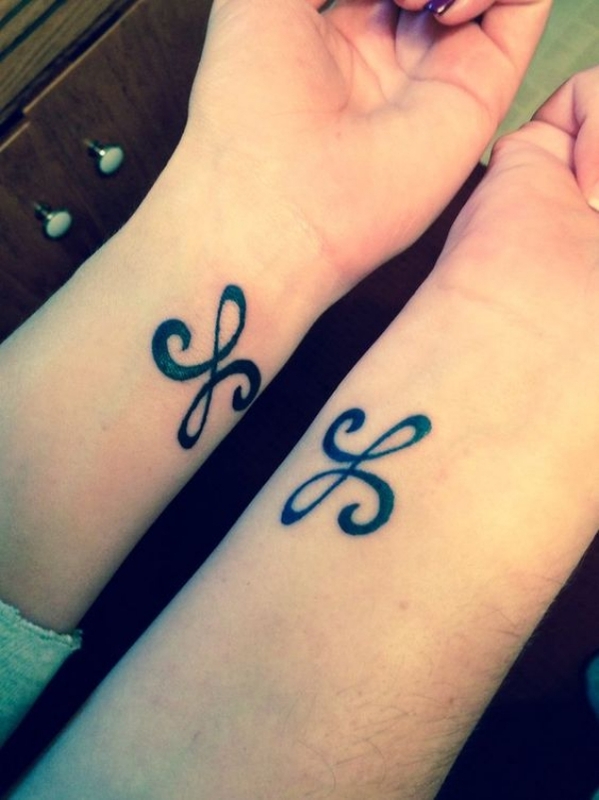 Two friends may have these tattoos as a sign of a special date, which is significant for them. A black diamond expresses love and strength. A red diamond represents passion and desire. A white diamond means purity and commitment. A blue diamond denotes an overcoming depression. A diamond in a box signifies wealth and power. Friends choose any design to emphasize the strength of their friendship. 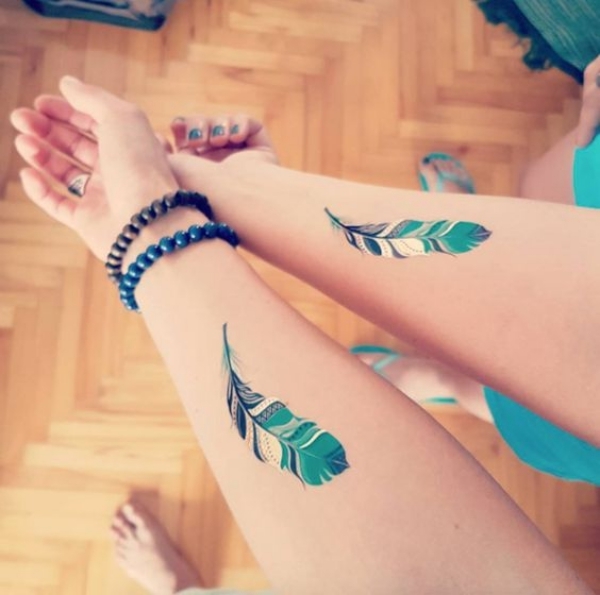 An arrow tattoo means protection, so friends, who wear this pattern, show that they will always protect each other. Also, another major meaning of the arrow according to Native Americans is friendship, which is hard to break. Besides, an arrow means moving forward despite the struggles in life and it denotes the ability to achieve success. Moreover, everybody knows about Cupid’s arrow, so this design indicates love. 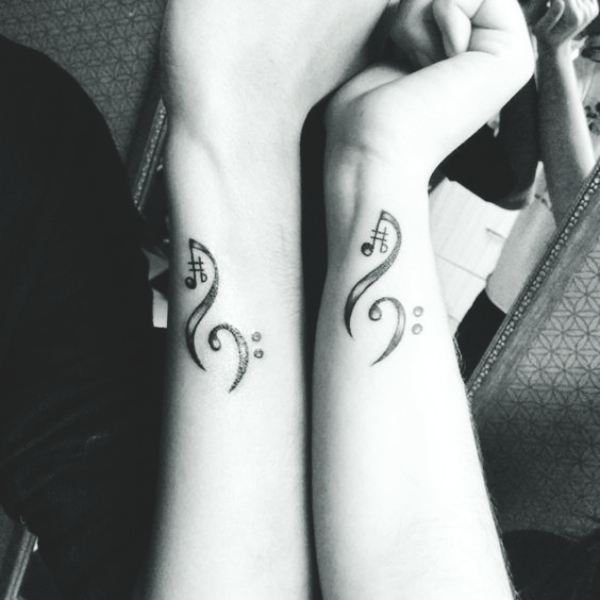 Generally, this tattoo means love and passion for music. Also, this tattoo reminds of the timelessness and it expresses a cheerful attitude towards life. Besides, such strong feelings as love, devotion, passion are also associated with music, that is why music note tattoo may render this meaning. On top of that, the aim of music is to evoke nostalgic memories, so friends, who get this tattoo, want to show that they will always be in each other’s hearts. 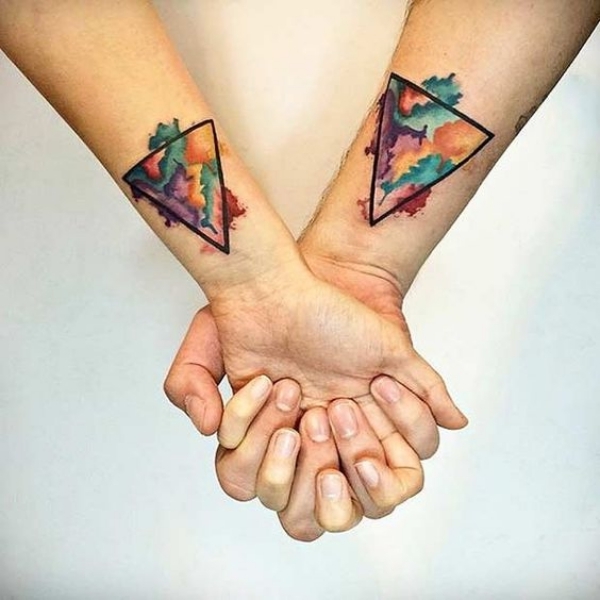 Geometric tattoos are very popular among friends, but the most sought-after figure is a triangle. In Christianity, this figure represents the holy trinity. For Creeks, the triangle symbolized wisdom. Besides, if the triangle is pointing upwards, it is connected with masculinity and serves as a sign of fatherhood. When it is pointing downwards, it is the symbol of femininity and motherhood. On top of that, this geometric figure stands for harmony and creativity. Cartoon characters imply a carefree lifestyle, the ability to be satisfied with simple things. For friends, it may be the symbol of childhood and sweet memories. People choose Disney cartoon heroes mostly to perpetuate their friendship. A traditional style implies solid and thick lines, a limited color palette and a few designs. A watercolor style is about chaotic splashes and streaks of color and blurred lines. A tribal style uses solid black lines, symmetry, and geometrical shapes. A new school style implies cartoon-like designs with exaggerated features and dimensions. A neo-traditional style encompasses the fusion of several styles, inspired by the 2-D or a 3-D layout. A dotwork style means that tiny dots make up the design. A geometric style uses symmetrical shapes, straight and sharp lines to create a holistic design. A script style has Gothic and intricate fonts. A Celtic style incorporates tattoos, which are made up of Celtic knots, which may look as spirals or Trinity knots. So, if you want to perpetuate your friendship, use one of these designs.